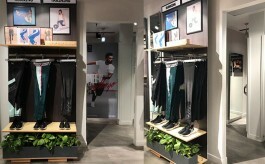 Home Centre’s “My Colourful Kitchen” window presents the retailer’s entire kitchen offerings in a 3D format along with a cut out of Chef Ranveer Brar, who has been roped in as ambassador of Home Centre’s kitchen range. The window has been executed by Bangalore-based Tranz Mannequins. 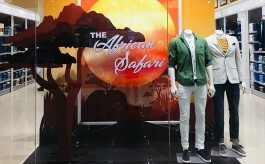 The window has been executed across India by Bangalore-based Supra Digital and Tranz Mannequins.